7 litre red non-lidded stack & nest storage boxes. Can be purchased in a range of discounted packs or as a single box. 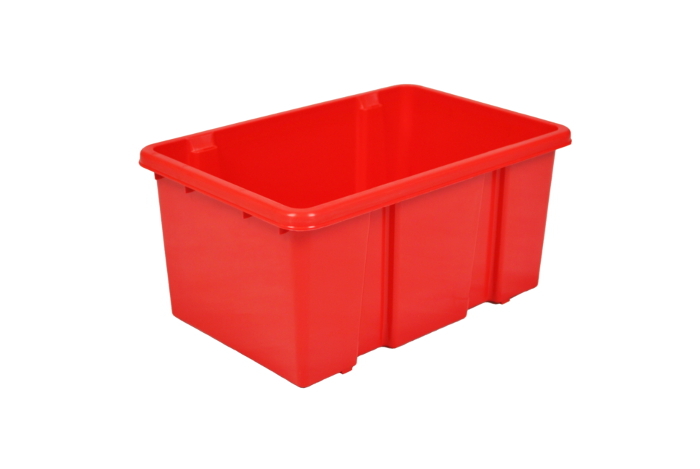 A multi-purpose red plastic storage box ideal for storing items in the home, garage or office. 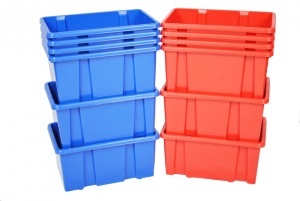 Manufactured from polypropylene plastic, these boxes can be stacked on top of each other or nested inside each other when not in use, saving valuable storage space. 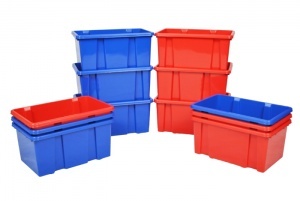 An ideal choice for a school, nursery or child's bedroom, these boxes also add a splash of colour to any location where a transparent box may not be suitable. Please note these boxes do not have lids.